Sweet Retro Cupcake Photoshop Banner Set - Free Photoshop Brushes at Brusheezy! If you've got a little bit of a sweet tooth today, this Photoshop banner pack will surely get you through! 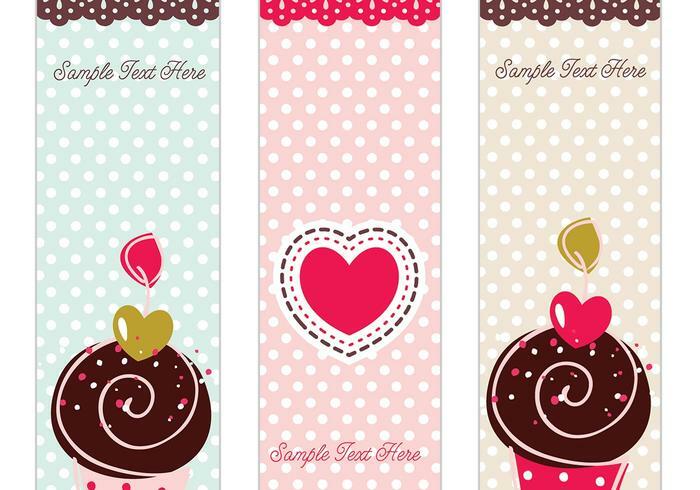 This Sweet Retro Cupcake Photoshop Banner Set is packed full with three vertical banner Photoshop wallpappers decorated with the sweetest sugary cupcakes, polka dot backgrounds, and even a perfect place to place some text. Head over to Vecteezy for the vector banners and download the <a href="http://www.vecteezy.com/Backgrounds-Wallpaper/34919-Sweet-Retro-Cupcake-Banner-Vector-Set/premium">Sweet Retro Cupcake Banner Pack</a>!